This Day Was For The Birds! What an awesome end to an awesome weekend. I uploaded some photos to my flickr page when we got home, and realized I screwed up the upload, so hopefully these will re-upload before this posts. As reported last night, the kids set their alarms for 8:00 am and sure enough we were all up and ready to go by 9:00 am. 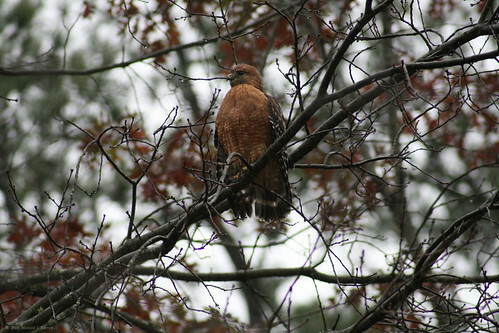 We got to the park just after 10:00 and didn’t have to look far before we saw our first bird. 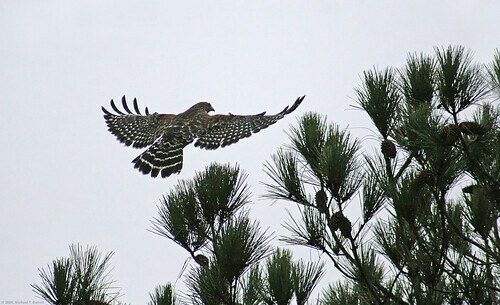 Within the first ten minutes of our arrival, we saw three hawks (Red-Shouldered) and the Bald Eagle. The day couldn’t have started any better. 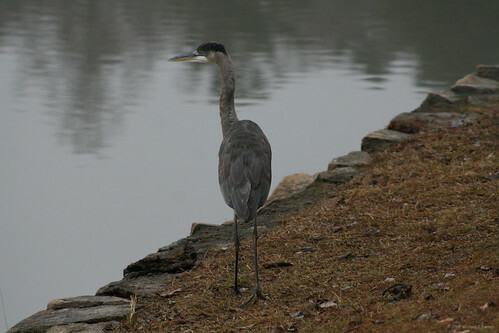 The Blue Herons were flying back and forth all day, and a few of them came up close to pay us a personal visit. We saw Bufflehead, Pied-Billed Grebes, Lesser Scaups, Yellow-Shafted Northen Flickers, Red-Breasted Morgansers, and the Horned Grebe. 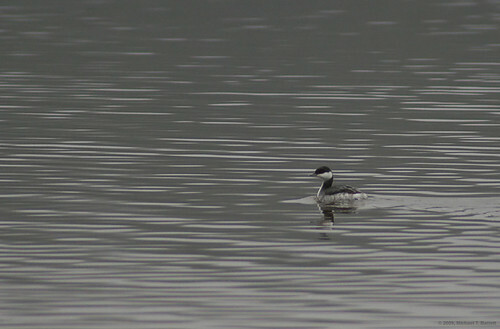 The Horned Grebe spent a lot of time out on the lake calling someone. No one answered, except us, but he wasn’t listening to a word we said. 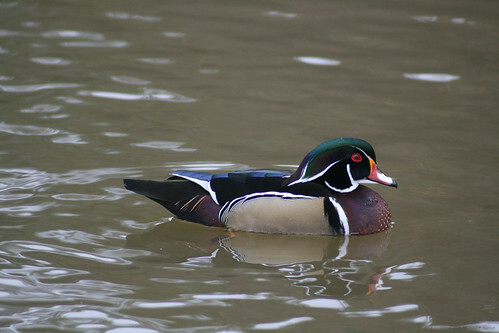 For the past three years, up until today, we have only seen one Wood Duck at the lake at any one time. Today, we saw two. They flew in together, but one of them was camera shy and turned tail and flew all the way back to the other side of the lake when he saw us. 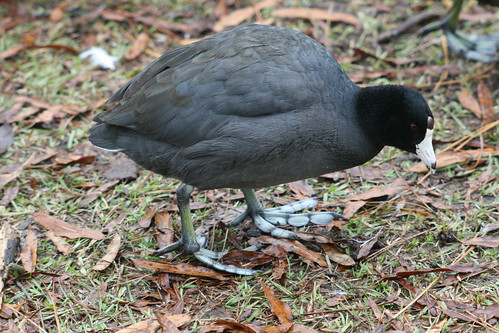 The American Coots were everywhere. Forty-three of them to be exact, and they made their presence known. 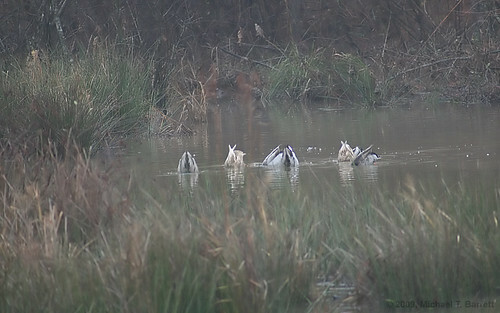 Everytime we approached the lake, they swam to shore and made a stampede to our location. We think someone’s been feeding them. Three weeks ago they wanted nothing to do with us. Many of them were just being butts about the whole thing. 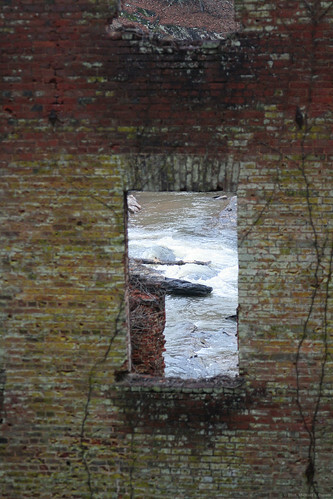 Most people looked out their window today and saw a dark, foggy, dreary day. That’s too bad. They had no idea what they missed.